As investors see the stock market repeatedly climbing to new records lately, some people want to know that they will be safe this time. They’d like to get a taste of the action in the stock market, but they want guarantees that they won’t get hit again like they were from late 2007 to March 2009 — a 57 percent hit to their portfolio. If you fear a re-occurrence and want assurances that it won’t happen again, you will never get such certainty. Because the crash of 2007-2009 was one of the worst in history, it’s unlikely — but not impossible — that the next plunge will be as horrific. But some sort of downturn is a sure thing, even though it’s not clear when it will occur or how bad it will be. When people see blue skies ahead they naively take excessive risks buying overpriced stocks. Ultimately that leads to a market plunge because stocks won’t climb indefinitely if company profits aren’t strong enough to warrant the stock prices. The downturn can be either what’s known as a correction, or a 15 percent dip in the stock market, or a bear market, a lengthy plunge of 20 percent or more. Investors who want guarantees need to be aware of the realities of stock market cycles. Bear markets happen about every 4.5 to 5 years. The average loss in such a market is 38 percent, according to the Leuthold Group. Although people tend to think of their gains as keepers that should belong to them forever, the downturns are a natural part of investing — a result of cycles. 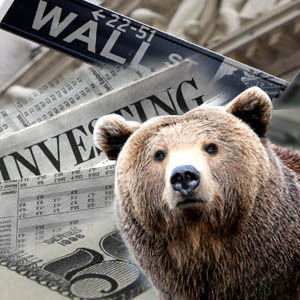 Since 1900, there have been 23 bear markets and, on average, investments have recovered in about 2.5 years, according to Leuthold Group research. But in the worst bear markets, like the 2007-2009 one, the pain has lasted a lot longer. It was March 5, 2013, or more than 5 years since stocks started plunging in October 2007, before the market recovered its value. Looking ahead in 2013 — a bear market just may begin this year — the reality of stock market cycles.